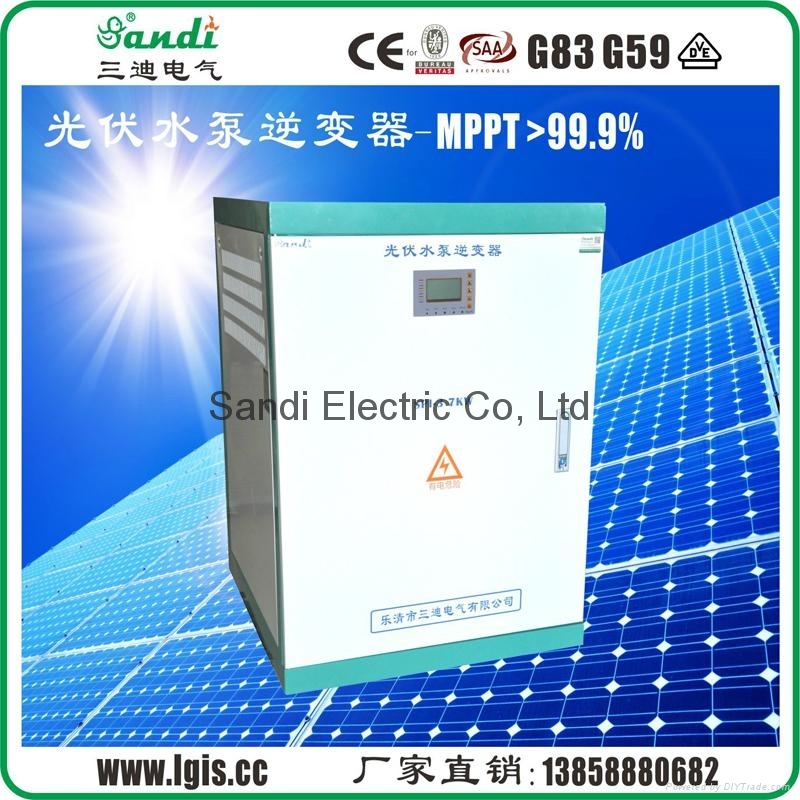 Sandi PV pump system is different from traditional AC pump application system, PV pump system is using solar cells to directly convert solar energy into electrical energy, then PV pump inverter drive the AC motor to drive pump getting water from deep well, river, lake etc., finally transport to the destination to meet our demand for water. PV pumping system consists of four parts: PV array, PV pump inverter, three-phase AC pump and storage device. PV array absorb sunshine radiation energy and convert it into electrical energy, supply power for whole system. 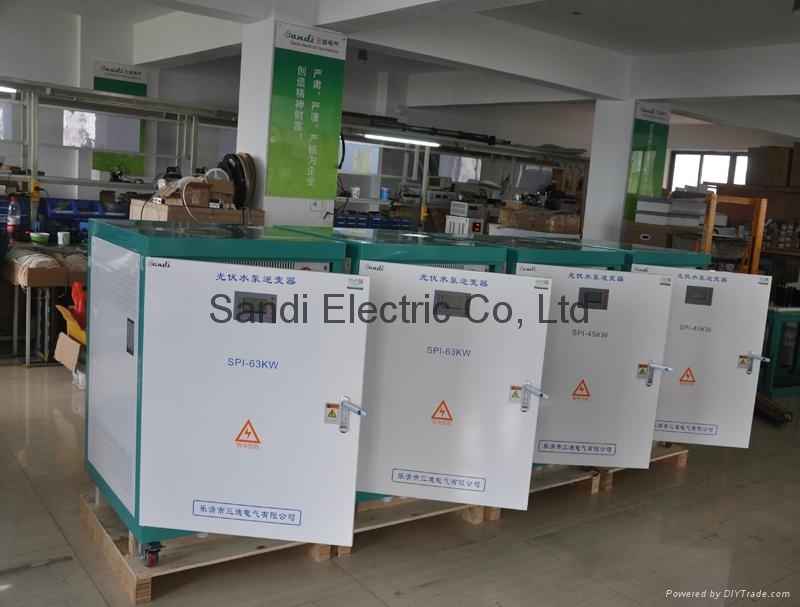 PV pump inverter is an important part of PV pump inverter system, which convert the output DC from PV array into AC for driving pump, and according to the changes of sunlight intensity in real time to adjust the output voltage and frequency to achieve max. power point tracking and max the use of solar energy. 1, Adopting the proposed dynamic VI maximum power point tracking (MPPT) control method & optimized SVPWM; fast response and stable operation; and the conversion efficiency achieves of 99.9%. 3, Adopting high-efficiency IPM (intelligent power module) from Mitsubishi with high reliability and high efficiency 99.9%. 4, Designed with variable frequency driver (VFD), can be used in variable frequency speed regulation technology, greatly improves efficiency, and better to protect water pump and maximum utilization of solar panels. 5, LCD display operating panel, can setting various parameters through LCD, easy to operation. 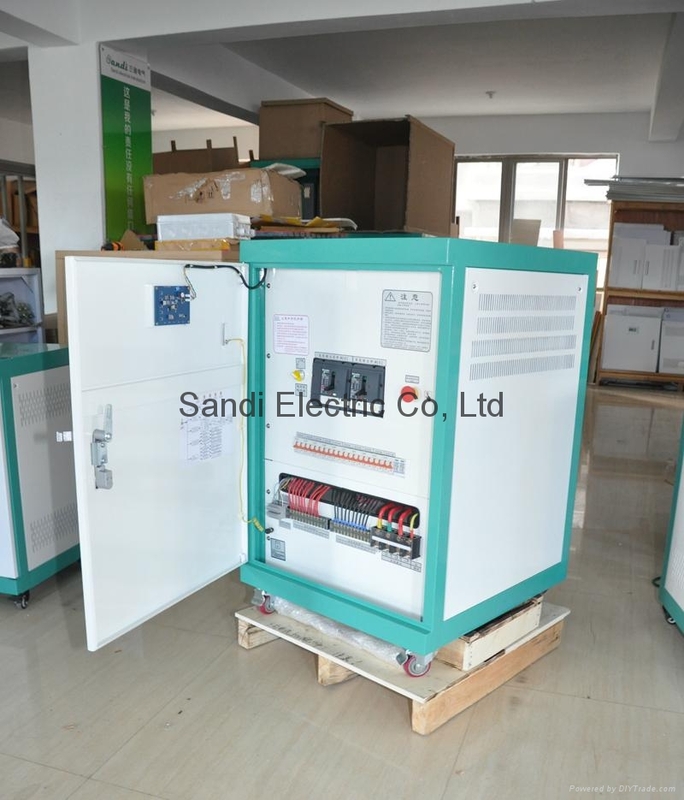 7, Complete protection function for PV input under voltage, PV input over voltage, input connection Reverse Polarity, DC over current, output, over load, short circuit, dry Well, overflow, dry running, and blocking protection. 10, Equipped with RS485 data communication for remote monitoring (Optional). 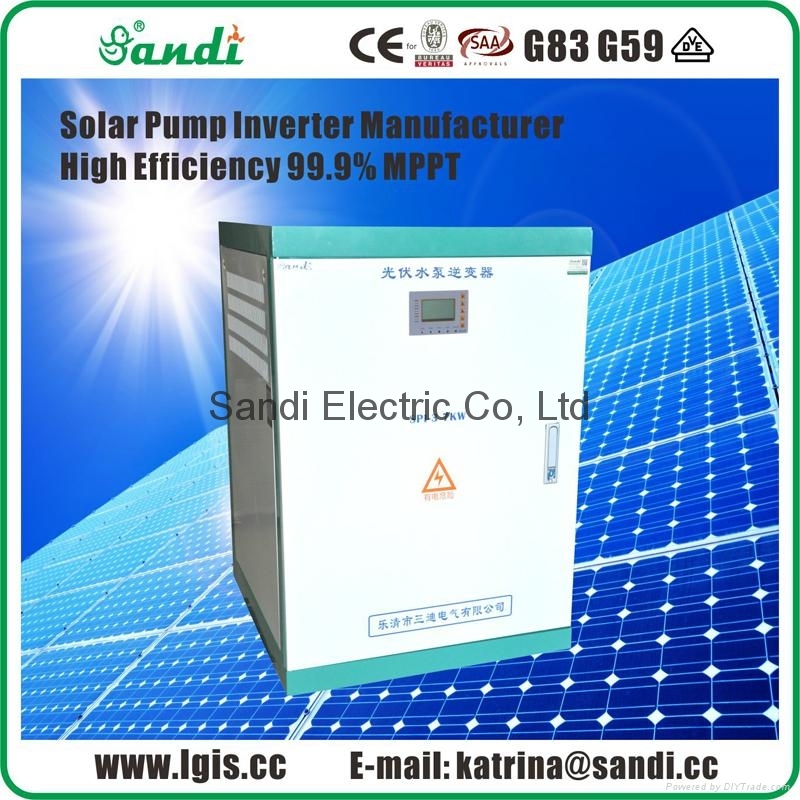 Alarm: Please choose the right type of inverter according to PV array and pump motor load.